← Get Ready to Pick the Right Polymer if you’re in the Auto Manufacturing Industry! In addition to relying on their websites and online channels to promote holiday sales, retailers are also going “back to basics” with traditional merchandising techniques that boast time-proven effectiveness. 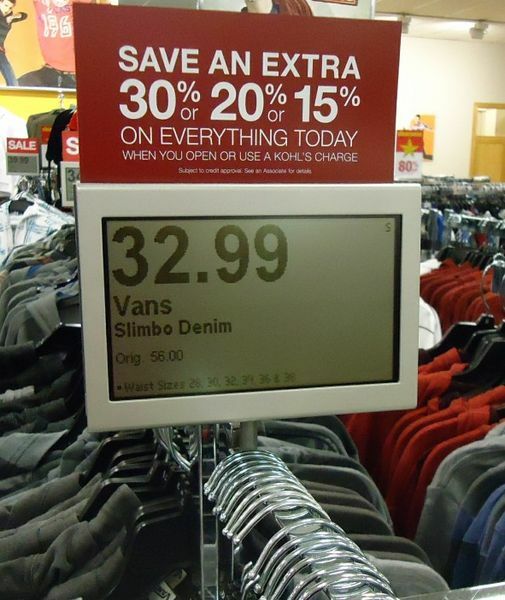 Among these techniques: point-of-purchase (POP) displays. Take a close look at any bricks-and-mortar retail location and you’ll find POP displays all around you. End-caps, kiosks, shelf talkers and counter displays are all part of the POP family, and there are many other variations. POP displays are strategically designed and positioned to attract the attention of buyers, to differentiate products among competitors, and to boost sales – and their effectiveness as sales promotion tools has been proven over many decades. Right now, in the holiday selling season 2013, POP displays are working overtime during the abbreviated selling season. When you’re doing your holiday shopping (or when you’re shopping at any time of the year), take note of all the POP displays around you. You’ll see that most POP displays are designed and manufactured using plastics, whether it’s extruded plastic material being used, vacuum formed sheet, or injection molded plastic. Flexible PVC – As its name states, a “flexible” version of PVC offering a wide range of flexibility and applications based on varying levels of plasticizer being used in processing. When used as a co-extruded material can provide a hinge point, or gripper to hold signage. Styrene – A petroleum byproduct, Styrene is commonly used for packaging, signage and other related applications. With a lighter specific gravity, large parts can be made to be less expensive than most other materials. If you’re designing or manufacturing POP displays and have questions about the types of extruded plastics you should be using – we’ll be happy to tell you more about how POP displays made with extruded plastics really “pop” and work to boost retail sales! This entry was posted in Point-of-Purchase Displays and tagged Flexible PVC, holiday shopping season, kiosks, poly vinyl chloride, promote holiday sales, Retail Point-of-Purchase Displays Made of Extruded Plastics, shelf talkers and counter displays, Styrene. Bookmark the permalink.